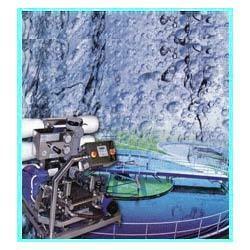 Prominent & Leading Manufacturer from Bengaluru, we offer raw water & waste water treatment equipment. Making new benchmarks in the business as a manufacturer and supplier, we are occupied with offering Raw Water & Waste Water Treatment Equipment. Offered equipment is produced by our gifted experts utilizing the best engineering to render most extreme customers' fulfillment. With a specific end goal to meet variegated requests of customers, this is made accessible in different altered alternatives. Furthermore, customers can profit this equipment at business sector leading costs. Looking for Raw Water & Waste Water Treatment Equipment ?